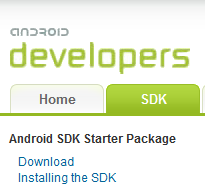 As an Android developer, I don't think I've been this excited for an ADT and Tools releases in a long time. The Android tools team (Tor and Xav) just dropped off the latest ADT and SDK Tools at the Android Tools download site, bringing both up to version 14. Brand new logcat view. Fixes bugs, displays and filters by application names instead of just pids, fronts when application runs. New XML formatter which formats all XML files according to the standard Android coding style. The formatter can also reorder attributes to follow the recommended order. >>> One word - YES! I've been waiting for this for many years. The above 3 changes are definitely my favorites. Improved incremental builds. Resource compilation is run much less frequently. It is no longer run when strings are edited, or when layouts are edited(unless a new id is introduced), and it is no longer run once per library project. ADT now uses bin/classes to output the java compilation and bin/ for Android specific classes. This will make bin show up in the package explorer. New XML formatter which formats all XML files according to the standard Android coding style. The formatter can also reorder attributes to follow the recommended order. Changes made by the layout editor are automatically run through the new XML formatter. Select Enclosing Element should now work on the Mac as well. Tooltip feedback for resizing and dragging operations. For example, when dragging in a relative layout, the proposed constraints are shown, and when resizing the new dimensions are shown. New "Remove Container" visual refactoring which removes the children of a container up to the top level and transfers namespace and layout attributes if necessary. Improved access to properties in the context menu: The most frequently set attributes for each view are listed at the top of the menu, and the properties menu offers access to the most recently set attributes, attributes organized by their defining view, and layout attributes only or all attributes alphabetically. The context menu now also contains pull-right menus for accessing properties of the parents, which is useful when the children fully cover the parent making it hard to select on its own. Ability to suppress rendering fidelity warnings. Asset Studio integration: Wizard creation of launcher icons, menu icons, tab icons, etc. The New Project and the New XML File wizards have been reworked into multiple pages. Sample Projects are now copied into the workspace such that they can be modified and deleted without affecting themaster copy. Welcome wizard to help with initial setup of the Android development environment. The dependency on Eclipse GEF was removed. 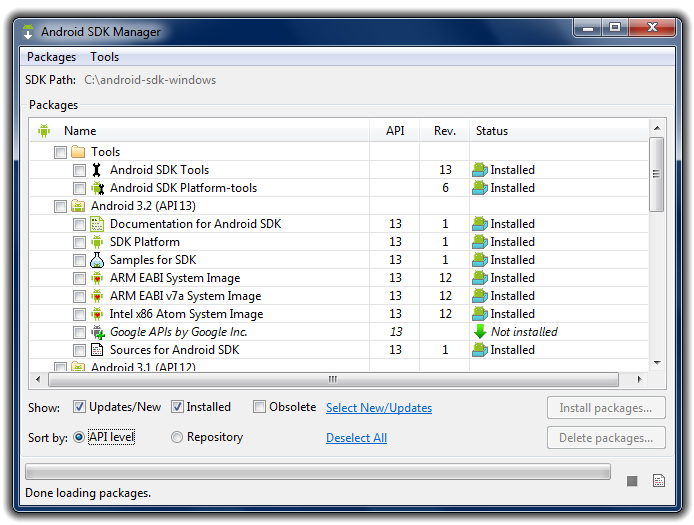 When the final versions are released, you will be able to update ADT 14 and SDK Tools r14 using the SDK Manager, but for now in order to download and install them, you have to go through the installation process outlined over at the Tools site - after all, this is a preview release. What are you waiting for? Go grab the goodies and drop your comments down below.